简介：关于英孚教育 英孚教育成立于1965年，是一家全球教育培训公司，以“教育，让世界无界”为企业使命。英孚在全球各地有诸多学校和办事处，并拥有优质在线英语学习基地Englishlive。英孚主要致力于语言培训、出国留学游学、学位课程和文化交流等项目。英孚教育致力于长足扎根中国市场，曾担任2008年北京奥运会语言培训服务提供商。自1988年以来，英孚已经支持服务六届奥运会，包括2018年平昌冬季奥运会和即将要举办的2020年东京奥运会。英孚还发布了全球英语熟练度报告, 该报告打破了地域限制，在全球范围内测试了不同国家成人的英语能力。 About EF Education First Established in 1965 with a mission to open the world through education, EF Education First (EF) is an international education company which focuses on language, academics, and cultural experience. EF has hundreds of schools and offices worldwide and online English learning platform English Live . 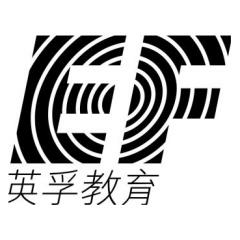 With long term commitment in China, EF has been selected as the official supplier of language training services for Beijing 2008 Olympics. Since 1988, EF has provided service to Olympic Games for six times, including the PyeongChang 2018 Winter Olympics and the upcoming Tokyo 2020 Olympics. Each year, EF publishes the English Proficiency Index measuring the English ability of adults in countries across the world.